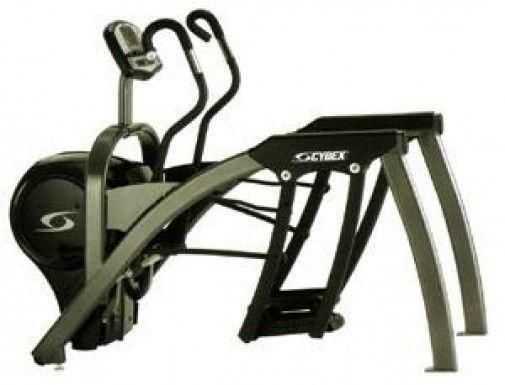 The Cybex 625AT Total Body Arc Trainer is load dependent which means that resistance is scaled to the user’s weight. Two exercisers, a man who weighs 230 lbs and the other a woman who weighs 120 lbs, both get the same workout when they enter the same program levels and their own weight. 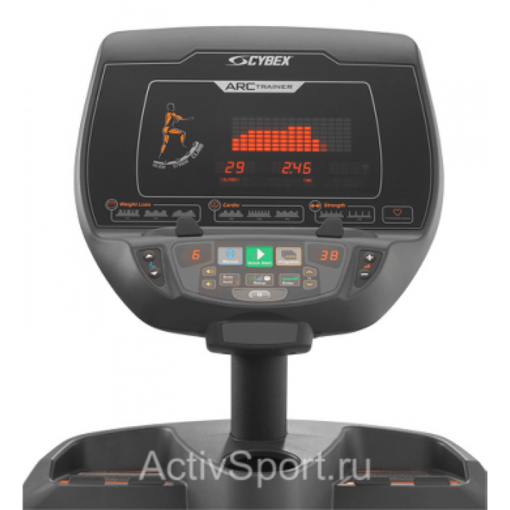 The perfect workout … and only Cybex has it. This is what makes the Arc an Arc. The unique Reverse Arc motion, a patented advanced stride technology, never places the user’s toe behind the knee (when the toe moves behind the knee significantly more stress is applied to the knee joint). The Reverse Arc Motion moves legs in a biomechanically correct pathway – reducing stress at the knee while offering a complete range of motion for both the knee and hip. 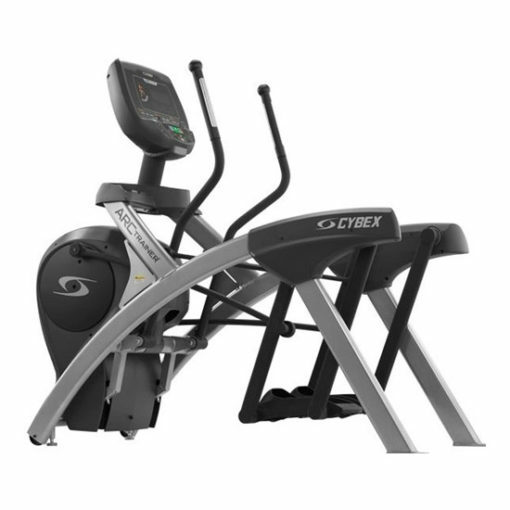 The Cybex 625AT Total Body Arc Trainer offers three exercise zones for the ultimate in variety: Low position is for the “Glide”; Medium position called the “Stride” and High position for the “Climb”. 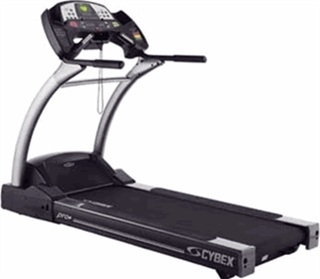 The Cybex 625AT Total Body Arc Trainer is equipped with long input arms with a more linear path versus the shorter handles found on other cross trainers. This near linear path minimizes painful wrist articulation allowing you to get a better upper body workout and maintain good posture. Workouts : Quick Start, Manual, three Weight Loss, three Cardio, two Strength and Heart Rate Control. Programs have 10 levels and control both incline and resistance. Convenience Features : Split level display with magazine rack. Centrally located water bottle holder and dual utility trays. Purchased this from Gym Pros, great experience. Love my Arc trainer. Ill spread the good word guys , thank you! Shopped around on this phone and was fortunate to stumble on Gym Pros, Great Price great advice and Great service. Im happy. Condition of the Arc Trainer is awesome .Thank you Brie! I use this machine at the gym, love it and I got what I wanted for my home. Machine is in awesome condition. 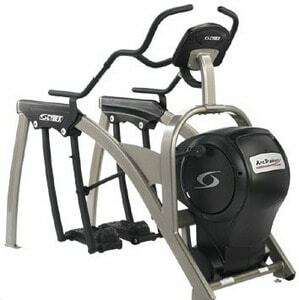 Purchased Remanufactured from Gym Pros, affordable financing and speedy Delivery.